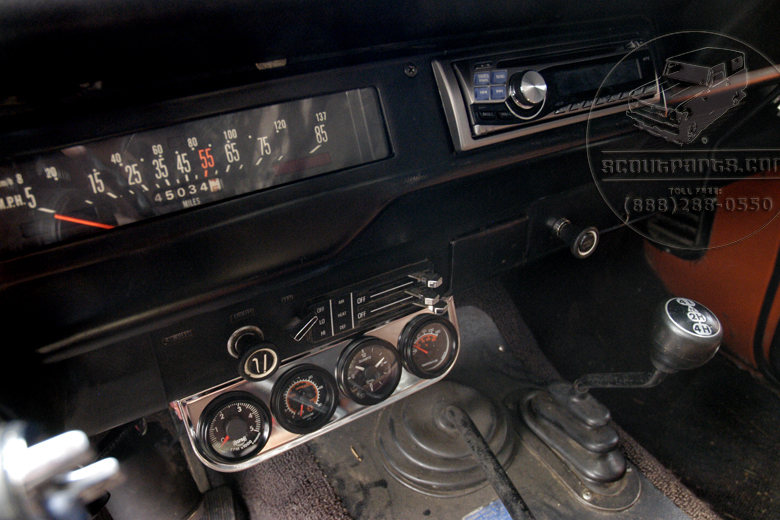 Kit includes a clock, vacuum gauge with tubing kit, tachometer, temperature gauge and chrome bezel which can be mounted under the dash. The temperature gauge is handy as Scout stock gauges do not tell you the exact water temperature. Many of our 'daily driver' Scout customers swear by their vacuum gauge which can prompt you of fuel economy, tune up, and general running condition problems. 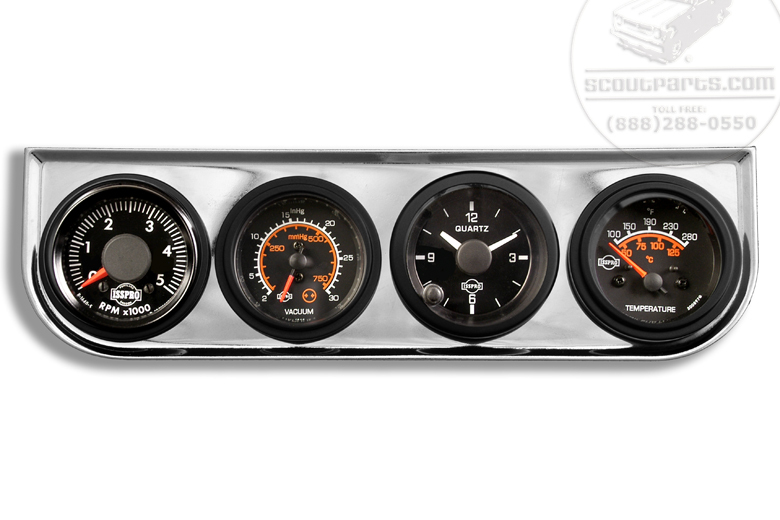 Overall, this is a great gauge kit for anyone wanting a high quality, backlit gauge setup to supplement their stock gauges. ***When installing the tachometer: black wire is ground, white wire is to coil or distributor, and red wire goes to keyed power.